Since 1990, the Tattersall’s Club, Brisbane, has conducted an acquisitive Landscape Art Prize. This is a prestigious annual event featuring high-calibre works by some of Australia’s most celebrated artists working in this genre. Artists include: Gordon Shepherdson, John Caldwell, Michael Nelson Jagamarra, Davida Allen, Sybil Curtis, Maureen Hansen and Joe Furlonger. This year the Tattersall’s Club celebrates its 150th anniversary. To celebrate this milestone and to mark 25 years of the Landscape Art Prize, the Tattersall’s Club Committee has made available a selection of fifteen winning entries to tour to regional Queensland to share with art lovers and the general public. Tattersall’s Club Landscape Art Prize is organised by the Tattersall’s Club, Brisbane, and toured by Museums & Galleries Queensland. This project is supported by the Queensland Government through Arts Queensland. 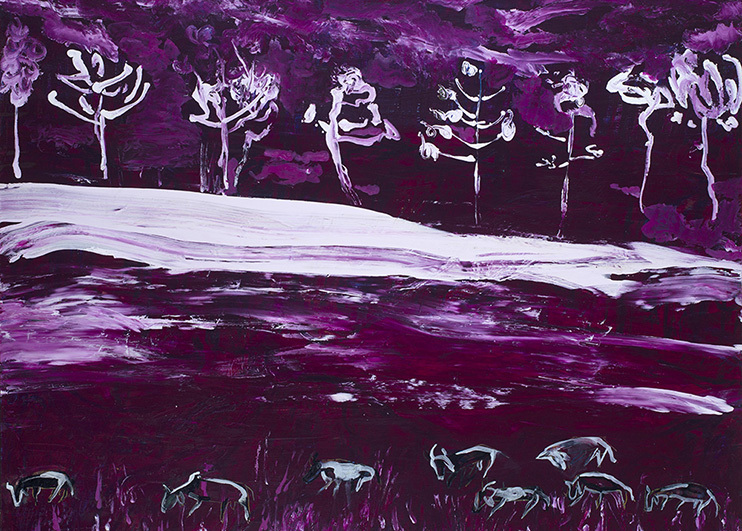 Image: Davida Allen, Cattle in Fog at Sunrise, 2010, oil on marine ply, 125 x 154.5cm. Courtesy of Tattersall’s Club Art Prize Collection.